Counselor's Stories: Leaping is published on Amazon! ON MAY 2 AND 3, 2015 ! 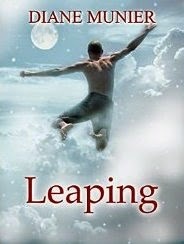 "I just published Leaping and want to gift it to readers this weekend. It is a survivor’s story, a love story, a facing Goliath story and finding Goliath is really your own fear. It’s my shortest work at around 43,000 words. I hope you’ll find it a worthwhile read."